Formerly part of Thuringia, Coburg was one of the capitals of the Duchies of Saxe-Coburg-Saalfeld and of Saxe-Coburg-Gotha from 1764 to 1918. The latter branch inherited through marriages the Kingdoms of Great Britain, Belgium, Bulgaria and Portugal. 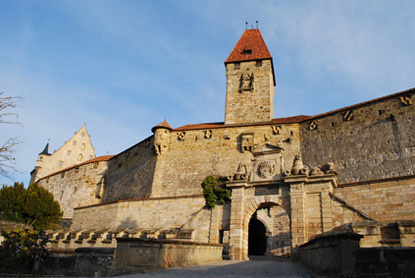 The main sights in town are the Coburg Citadel, one of Germany's largest castles, and the Ehrenburg, a Baroque palace remodelled in Gothic Revival by Duke Ernst I.